Deanna Evans Projects is excited to announce, SCALE, a group exhibition featuring Carin Dangot, Sam Jablon, Alison Kudlow, Dana Powell, Andrew Schwartz, Elisa Soliven, Rhian Swierat and Leah Tacha. The exhibition focuses on the effect of scale on a work of art. Nearly all art, even images, are consumed through our phones, which can often manipulate and distort our interpretation of scale. With that in mind, each artist has created thoughtful and intricate pieces under the tight parameters of being smaller than 10 inches. For some of the artists, this scale is within their practice, and others were pushed beyond their comfort zone to create these small-scale pieces. The aim of the exhibition is to question what we see online and how we determine the value of a work. Is bigger always better? Carin Kulb Dangot is a Brazilian mixed media artist. Her work has been featured in solo and group exhibitions internationally, including, MuBE - Brazilian Museum of Sculpture; the Phyllis Harriman Mason Gallery, Soho 20, and Augusta Savage Gallery, MA. During the early years of her career in Brazil, Dangot studied fine arts at the Panamericana School of Arts & Design, and continued her education in New York with Peter Hristoff at The School of Visual Arts, and Grace Knowlton, Bruce Dorfman, David Black, and Ronnie Landfield at the Art Students League where she received The Lloyd Sherwood Grant and the Leonard Rosenfeld Merit Scholarship. 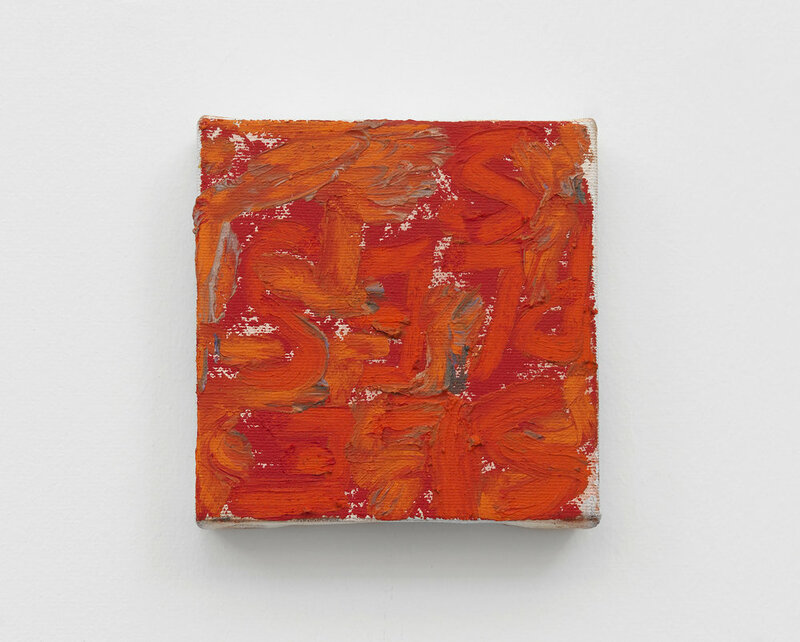 Samuel Jablon is an artist and poet who explores the discursivity and visuality of art and poetry, as well as the interconnection and possibilities of these two forms. He has been exhibited at the Museum of Modern Art (NY), The Queens Museum, Hauser & Wirth, Storefront for Art and Architecture, The Kitchen, Artists Space, with solo exhibitions at Freight + Volume (NY), Arts + Leisure (NY), and Diane Rosenstein (LA). His work has been reviewed in The Wall Street Journal, Art in America, ARTnews, The Brooklyn Rail, BOMB, Interview Magazine, and others. Alison Kudlow lives and works in Brooklyn. 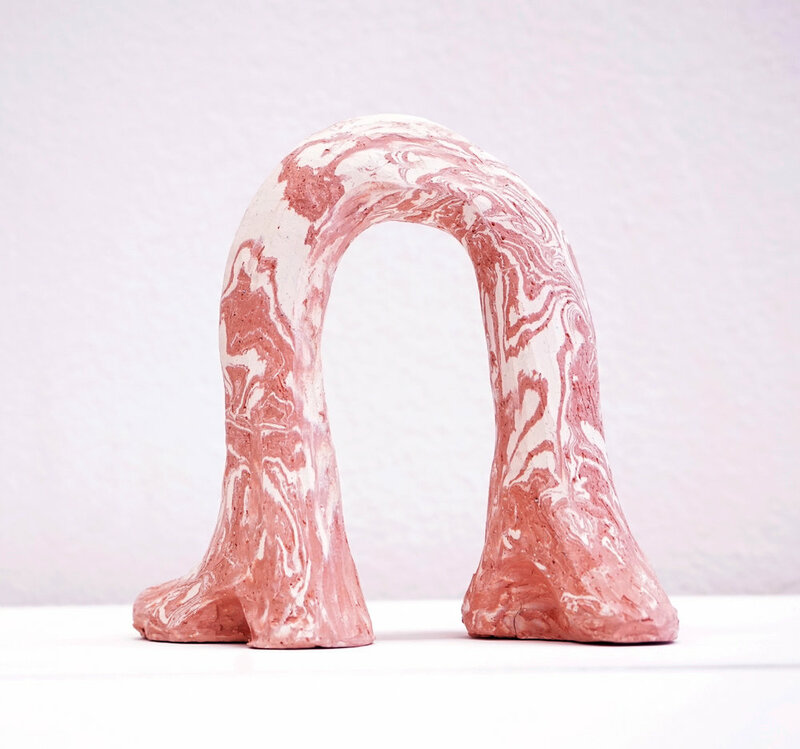 She has BA from the University of Southern California, a post-baccalaureate degree from Brandeis University and is currently an MFA candidate (2019) in the School of the Art Institute of Chicago’s Low-Residency Program in Studio Art. She has shown her work in group and solo shows in New York, Los Angeles, and Istanbul. Dana Powell (b. 1989 Milwaukee, Wisconsin) lives and works in Brooklyn, New York. Her recent solo exhibitions include Smoke Screen, Allen & Eldridge, New York (2017); Closer Things, Sardine Gallery, Brooklyn, curated by Amy Feldman (2016); and Life Paintings, The Still House Group, Brooklyn (2016). Recent group exhibitions include Pine Barrens, Tanya Bonakdar Gallery, New York, curated by Brandy Carstens (2018); Lure of the Dark, Mass MoCA, curated by Susan Cross (2018); and The skies and the atmosphere most luscious, Allen & Eldridge, New York, curated by Dylan Kraus (2017). Dana Powell received her BFA from Cooper Union in 2015. Andrew Schwartz was born in 1987 in New York City. He received a BFA with concentrations in painting and sculpture from Cornell University in 2010 and an MFA in painting from the Mason Gross School of the Arts at Rutgers University in 2016. He has exhibited at Morgan Lehman Gallery (NY), Geoffrey Young Gallery (MA), and Vicki Projects (NY), among others. Schwartz lives and works in Brooklyn, NY. Elisa Soliven lives and works in Brooklyn, NY. She holds an MFA in Painting from Hunter College and and a B.A. from Bryn Mawr College. Her work has been reviewed in Two Coats of Paint, Art Critical, Hyperallergic, and The New York Times. Her work has been included in exhibitions at Nudashank, Baltimore; Sardine, Brooklyn; Sunday Takeout, Brooklyn; Andrew Rafacz, Chicago; LABspace, Hillsdale, NY; John Davis, Hudson, NY; and Crush Curatorial, NYC, among others. She is also a co-founder of the Bushwick based artist collective, Underdonk. Rhian Swierat grew up in the Hudson Valley and is now based in Brooklyn, NY. She graduated from the Rhode Island School of Design in 2002 with a BFA in graphic design. Her mom taught her embroidery as a child, sharing with her a love of textiles and patterns. A visual magpie at heart, she is always collecting new materials and patterns to sew and experiment with in the most unlikely of places. 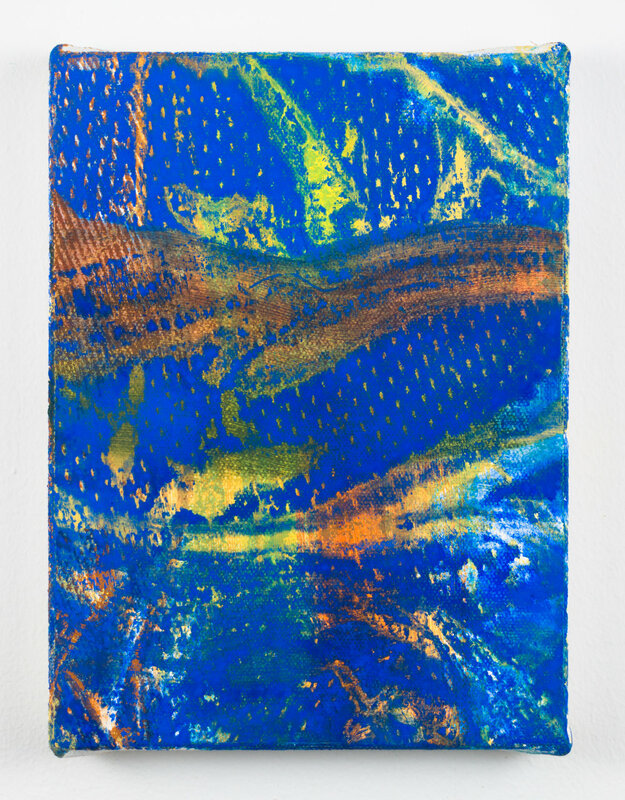 Her work is derived from the historical precedent of a sampler, using stitches to record the forms, patterns and textures of experiences of different places. Leah Tacha (b. 1984, Lawrence, KS) lives and works in Brooklyn, NY. She received her BFA in Painting from The Cleveland Institute of Art in 2007 and her MFA from SUNY Purchase College in 2009. Her first solo exhibition in NY was curated by Jon Lutz at Sardine in Brooklyn, NY in 2014 and her second solo exhibition was at Gallery 106 Green in 2016. She has shown with Daily Operation, RARE Gallery, Present Company, Kristen Lorello Gallery, among others. 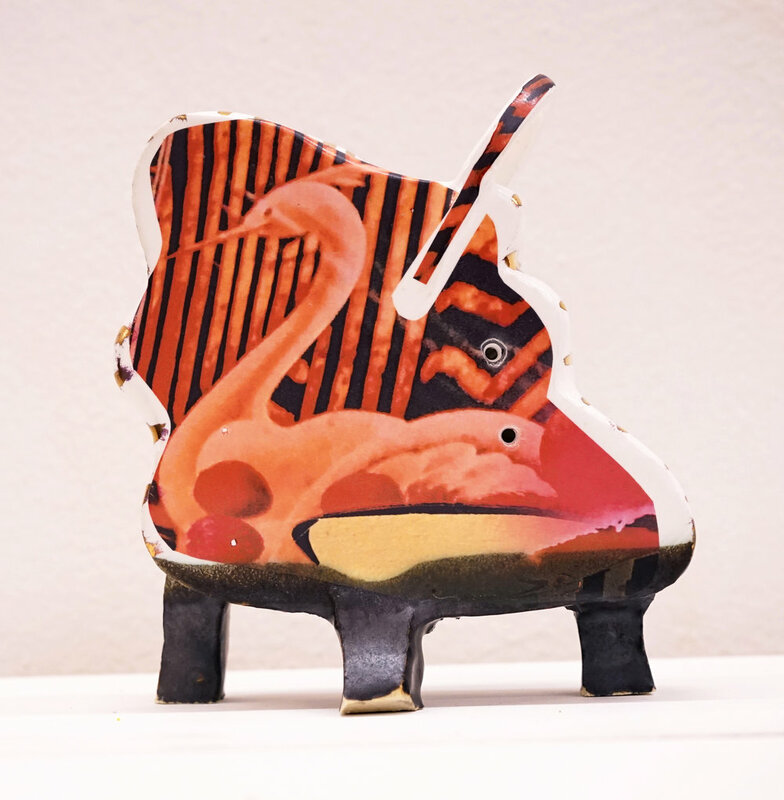 In 2015 she was awarded the Robert Blackburn Printmaking Workshop SIP Fellowship and in 2017 she was awarded the Windgate Fellowship at the Archie Bray Residency for the Ceramic Arts. Upcoming shows include a group show at Fisher Parrish in Brooklyn, NY and a group show with Gold / Scopophilia in Montclair, New Jersey.